Once upon a time, when the housing market was cruising in overdrive, folks could sell their house even when it was in disrepair. Or dirty. Or even overpriced. Those mile-a-minute days are a memory now. In their place stands a battle-toughened market, and a heightened sense that sellers must now do more, try more, work more to get a contract signed. That’s especially true as peak season for home sales approaches; families typically work to find a springtime deal that will allow a summer move. Sellers who have done their homework — literally – will get out of the gate ahead of rivals, real estate professionals say. Proper preparations demand far more than a coat of paint or a cleanup, but are also far more financially rewarding when the deal is done. How should you hire a broker? Very methodically, as it turns out. The U.S. Department of Housing and Urban Development recommends speaking with a minimum of two or three candidates from different agencies, asking each the same questions: How long have you sold homes, and for how long in this area? What’s your commission, and how would you market my house? Will you coordinate meetings with buyers? Can you give me some names and numbers of your past clients? Consumer Reports recommends visiting candidates’ open houses to see how well they pull things together. How’s their manner? Their presentation? Even their breath? Remember all those news stories about how real estate prices have fallen? So will potential buyers. Be realistic about pricing your home, because if it’s listed too high, it very likely won’t sell — even if you lower the price later, Realtors say. Ask your Realtor for a market report showing what similar houses have sold for. 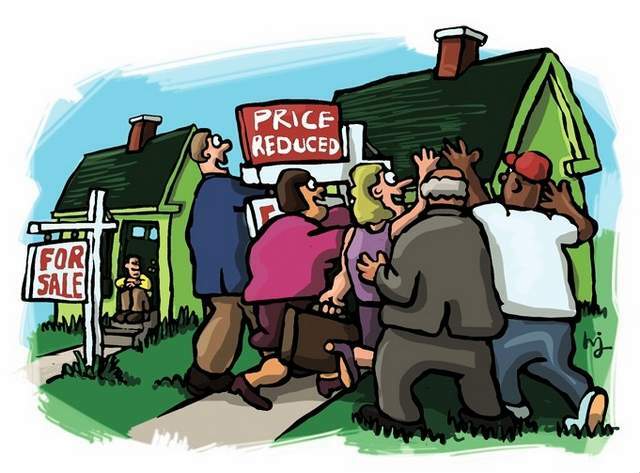 Visit open houses in your price range to see what you’re up against. Check websites like Zillow and HomeGain for comparisons. In the end, it will pay. Research by the Keller Williams real estate firm shows that sellers who listed their home at the price the agent originally recommended sold the home 38 days faster. Buyers don’t think solely about total price. Sellers can increase their deal’s appeal by offering to cover part of the closing costs — an especially attractive extra for first-time buyers. Or, consider offering a warranty against problems with certain systems and appliances for the first year. Warranties range from from $250 to around $400, according to Consumer Reports, which recommends warranty firms such as American Home Shield and First American Home Buyers Protection Corp. Buyers frequently hire home inspectors to check over homes before closing — but it’s something that can benefit sellers too. With a home inspection report in hand, sellers can target key problem spots for repair. Later on, when open house days arrive, potential buyers will feel more at ease seeing that glowing inspection report — along with receipts for any repairs — on the dining room table. It’s obvious things should be fixed up and cleaned up before those potential buyers start rolling in. It’s not always obvious to sellers how to “stage” their home so that it shows in the best light. Staging professionals are often willing to charge only for how much help you can afford — so long as you’re willing to take on the remainder of work yourself. “It doesn’t have to be this huge financial investment. If people will invest their time, they’re not going to have to invest their money,” she said. A consultation with Minichiello is $199, and she says a full staging averages about $1,500. In her field, she said, one fact holds true: The cost of staging your home will always be less than the price reduction that would be needed without it. Just because your house is listed doesn’t mean you should sit back and wait. Stay active in the sales process — promote the house through online social media networks like Facebook, Twitter and LinkedIn. And keep an eye on the listing — a photo showing your home nestled in a foot of snow may imply it has languished on the market to buyers who see it in the summer. Once you’ve managed the process as well as you can, go away — the last thing buyers will want to do is tour your house with you and your family in it.